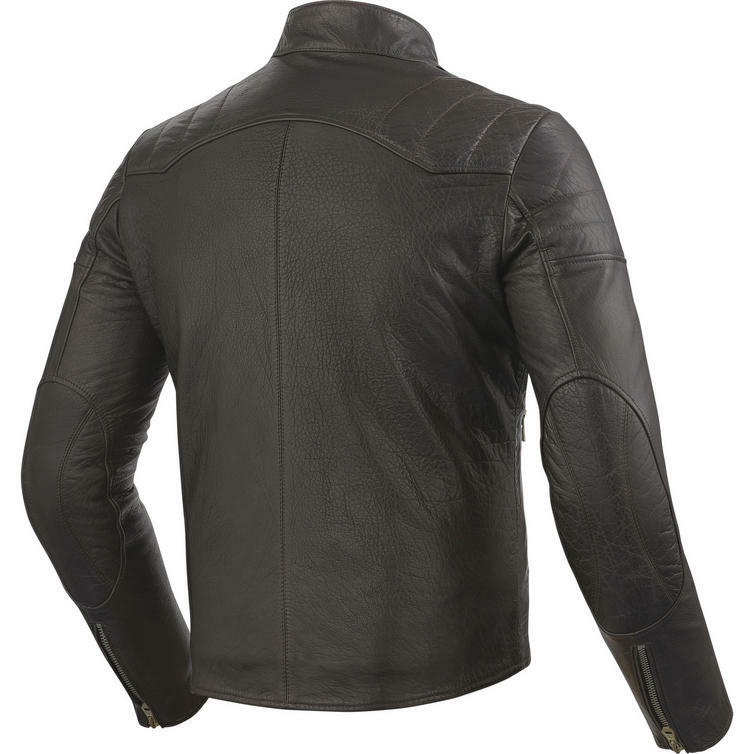 The Rev It Vaughn Leather Motorcycle Jacket is part of the latest REV'IT! collection. In both brown and black versions, the Vaughn offers the iconic style of a diagonal zipper combined with very special leather. The two tone buffalo leather used for this jacket received a treatment that uses dying and waxing during the tumbling process. 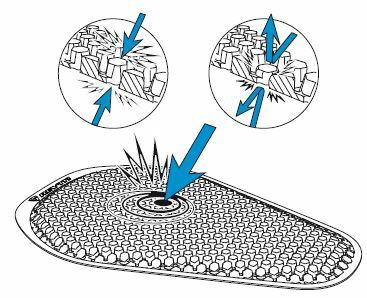 Thanks to this treatment the color seeps into the leather, allowing the wax to give the leather its shine. Anyone wearing the Vaughn will instantly experience the suppleness of the jacket. In addition to the diagonal zipper, the supple padding on the shoulders and elbows hint towards the caf? racing era, just like the zipper operated pockets across the front of the jacket. 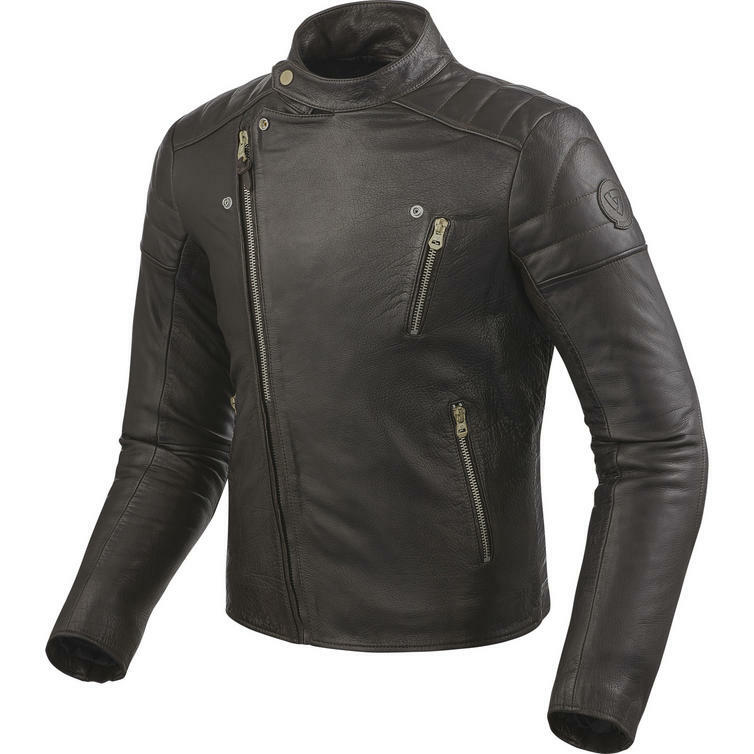 As supple as the leather feels, it is up to the motorcyclist's safety standards thanks to its highly abrasion resistant characteristics. Thanks to using our extremely thin SEESMART CE-level 1protectors on shoulders and elbows only the sharp eyed will identify the Vaughn as a motorcycle jacket. With ultra-thin protectors, we managed to create a silhouette that will fool anyone into thinking it's a fashion jacket. 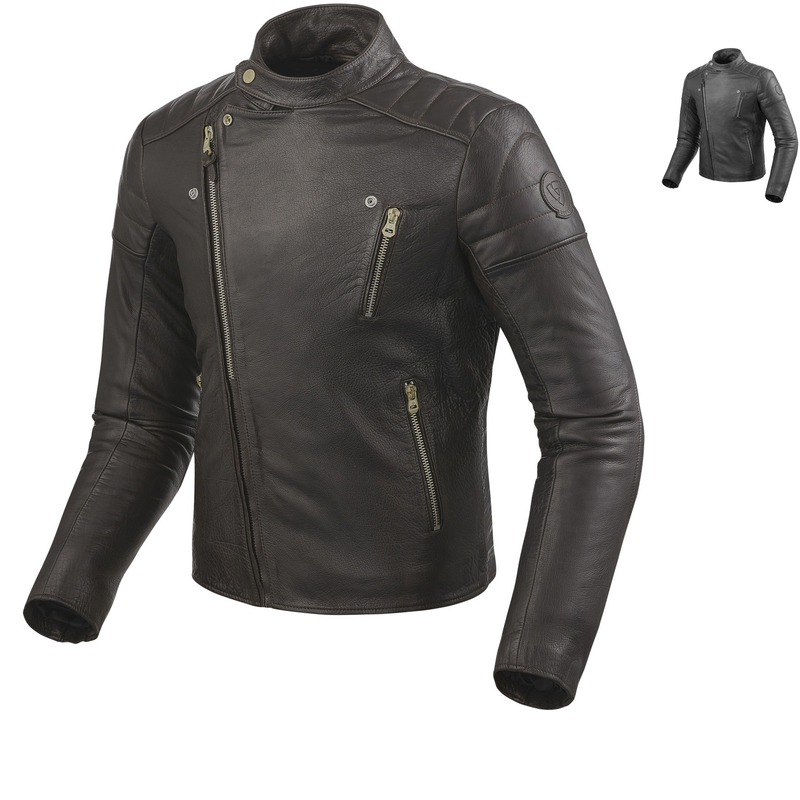 It's the combination of high quality leather, SEESMART protectors and the use of safety stitching that makes it a true motorcycle jacket albeit in disguise. The Vaughn is optionally upgradable by installing Rev'It! 's SEESOFT CE-level 2 back protector.